Children of nowadays... The boy's teacher forced him to remove his cardigan, probably he has been wearing same for several days, and behold, this is what they found underneath. 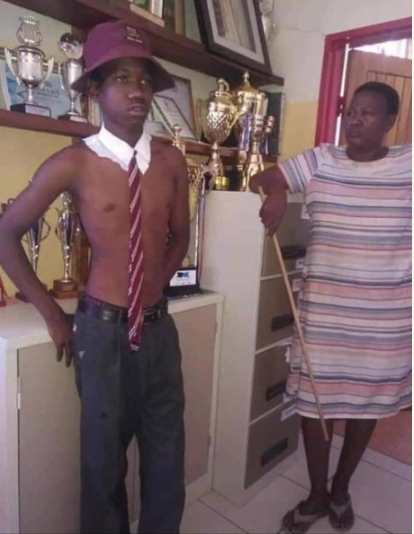 The young man had no shirt on, but packaged his tie on just a collar and cover up with the cardigan. Lol!